Beginners often struggle to understand how to trade Binary Options. But online trading is a very simple thing to learn. 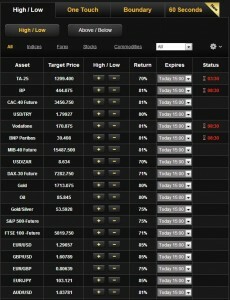 If you are beginner, then continue reading, as we will show you step by step how to trade Binary Options. For this guide we are using the platform of 24Option as an example. 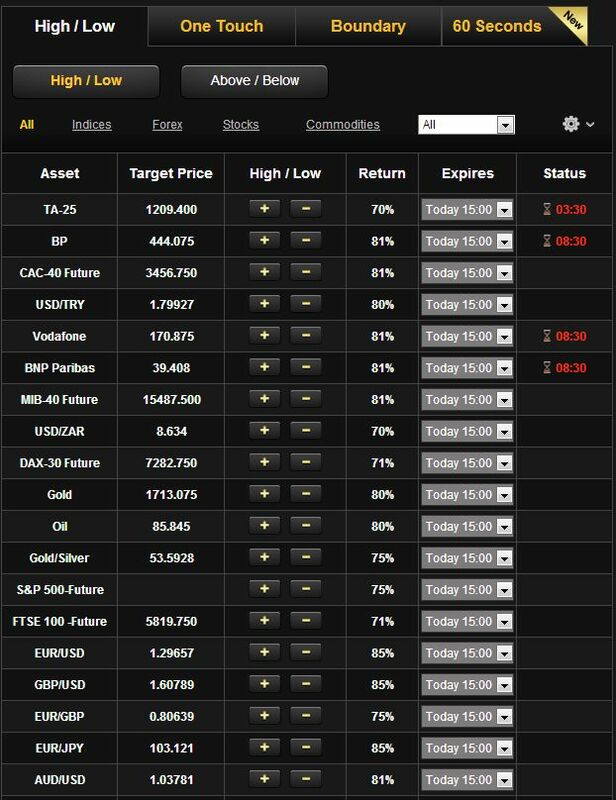 Other brokers use similar trading platforms but 24Option is a great broker and if you don’t have an account there you can open one by clicking through this link! The first thing to realise is that these brokers are 100% web-based and therfore you don´t need to download any software to begin trading. Just simply log-in to the platfrom through their web portal and, once registered, you can deposit funds and begin trading binary options. Here you can see all the necessary information about that option. 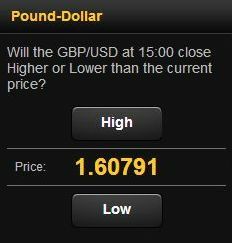 On the left you can choose whether you think that the price will go up (high) or go down (low). In the middle you can enter the amount of money which you want to invest and you can immediately see the return. And on the right the chart of that currency pair is displayed. Let’s take a closer look at all the details. In this case we entered 100$. Under “Return” you can exactly see how much you will receive if the option in or out of the money. 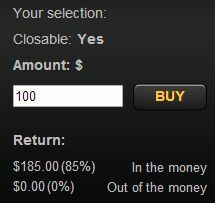 “Closable: Yes” means that you can sell the option before the expiry time back to 24Option. We will explain this useful feature later. Now if you click the “Buy” button you have purchased the option. The graph on the right will now be colored either green or red – depending whether your option is in or out of the money. You can now just wait until the time is up and then earn 85% return – or lose your investment. If you have a closable option, then you can sell it back to the broker anytime. The broker will offer you a specific amount, depending on the current price, the target price, the expected volatility and some other factors such as the amount of time that remains. If your option is out of the money, you will get an offer of less than the 100$ invested, for example 85$ which might still be better than to lose your whole investment. Because the prices offered for an early closing are usually pretty low, you should use the early closure option only in exceptional cases. Such exceptional cases are for example if you have new information regarding the future movement of the price or if you think that the chances of getting in the money are very low. A good example of an early closure is when the option is clearly out the money and when it most likely will not be in the money before the time is up. If you close an option early you follow the principle that a bird in the hand is worth two in the bush. By exiting such an option early, you preserve a part of your capital instead of accepting a total loss, which is often a good way to minimize risks. Alternatively, the early close feature can be used to take quick profits in short-term scalping trades when the market begins to reverse against your prediction. Athough it is true that the earnings will not be anywhere near the 85% in the money expiry price, it may offer a good way to take a 30% profit on high-probability setups. Many traders will argue that the risk-to-reward ratio is against you with these trades, but this will work favourably for trader who have backtested a strategy which may benefit fromclosing before the option expires. Another tool that many brokers increasingly offer their customers is the ‘rollover’ option which allows you to extend the life of your options. This is particularly helpful if the option is currently out of the money and has a chance of reversing back in to a profitable position if it is given more time to perform. In desparate situations, where the options look hopelessly out of the money, the rollover feature may also offer a glimmer of hope that price will recover and is worth extending the options even with only the small chance that it will close in the money.